The work of Patrick Cattrysse and Thomas Leitch represents two dramatically different approaches to adaptation studies. So it came as no surprise that when Cattrysse’s book Descriptive Adaptation Studies: Epistemological and Methodological Issues was published in 2014, it was sometimes highly critical of Leitch, and Leitch’s review of the volume the following year was equally critical of Cattrysse. The surprise came when the two met in person for the first time at the conference on Networks, Nodes, and New Approaches to Adaptation Studies at the Brigham Young University Humanities Center in Provo in February 2017 and found themselves challenged and stimulated by each other’s presentations, questions, and provocations. Before they left for home, they agreed to try their hand at a dialogue that would crystallize some of their differences in more judicious and useful ways, reframe their disagreements more productively, and consider how much common ground they could find in the questions they were asking if not the answers they proposed to those questions. They hope that the following dialogue, which does not so much resolve as reframe their ongoing debates, will serve as an invitation for other voices to join them, not as partisans of one or the other but as debaters themselves. Thomas Leitch: One of the things I most liked about Descriptive Adaptation Studies was its ability to make me think as I was reading it: “This isn’t the way I approach the subject at all; I wouldn’t be nearly as comfortable building such a rigorous and comprehensive system for analyzing and theorizing adaptations and expending so much energy in defining and elaborating my terminology.” You got me to ask myself, not why my way of thinking about adaptation was better than yours, but why it was the way it was—empirical, particularistic, moving from observations about particular adapted and adapting texts to more general theories and back again, and ultimately unsystematic (perhaps even anti-systematic), intuitive, and playful. Once I started characterizing my own approach in those terms, I looked forward to finding an opportunity to talk with you about ways of managing the differences between our two approaches—combining them, translating their terms into language we could both use, finding ways to think of them as different aspects of a larger project that might depend on them both. During our weekend in Provo, we discussed a particular question that I’d like to begin with—should adaptation be conceived as teleological, that is, as end-oriented rather than source-oriented, and analyzed in terms drawn from its target contexts rather than its source texts?—although I’d be inclined to broaden it even further: In what ways is it useful and appropriate to think of adaptation as archival, as performative, as teleological, or as anti-teleological? In what ways is it useful and appropriate to think of adaptation studies in each of these ways? I think we’d agree that adaptation has most often been theorized in archival terms: adaptations are defined primarily with reference to their source texts by adaptation scholars and understood even more widely outside the academy as having a particular set of responsibilities toward those source texts. The upside of this position is obvious: it gives us a quick, readily graspable, readily replicable model for talking about individual adaptations and adaptation in general. Its downside has become clearer over the past ten or fifteen years: it encourages value judgments based on possibly unearned comparisons between source texts and their adaptations; it limits the valence of specific adaptations to more or less faithful transcriptions from the archive; and it imputes a single motive to all adaptations that may well apply to only a small fraction of them. So it’s tempting to look for alternatives that might at least supplement, if not contest, this model, like a teleological model that considered adaptations in terms of their ends rather than their sources. Patrick Cattrysse: To complement the archival with a teleological approach was the main goal of the original “polysystem” (PS) approach in the 1970s in translation studies—hence the title of its founding journal Target, launched in 1989—and also the main objective of the subsequent “descriptive approach” in the 1990s in (film) adaptation studies. Forty years of work by translation and adaptation scholars like Itamar Even-Zohar, Gideon Toury, Andrew Chesterman, Theo Hermans, and Lawrence Venuti has built on what Russian Formalists like Viktor Žirmunski and Boris Ejxenbaum had written in the early 1920s: when studying adaptation or any form of borrowing, “the critic’s prime concern should not be with the ‘where from,’ but with the ‘what for’; not with the source of the motif, but with the use to which it is put in the new ‘system.’ [...] The borrowed motif is usually not what the ‘lender’ does best, but what the borrower needs most” (qtd. in Erlich 268). TL: One advantage of a teleological model is that it doesn’t impute the same historical motives to every single adaptation. Unlike archival models that allow us to think analysts are being historical when we’re doing nothing more than invoking fidelity as a criterion of value, teleological models encourage us to posit much more specific historical situations and motives. But teleological models have downsides of their own, downsides I wouldn’t have thought of if we weren’t talking about adaptation. For Aristotle, a telos is a state of affairs that has a necessary antecedent but not a necessary consequence. One of the most telling lessons of adaptation is that no state of affairs, no text, no translation or adaptation, is the end of the series because nobody ever gets to have the last word. Shifting our focus from curating the archival sources adaptations adapt to interrogating the teleology of adaptation forces us to redefine teleology as itself partial, contingent, and ultimately transitory—an end that isn’t a definitive ending at all. PC: One could argue that source (con)text related models, such as “fidelity,” are not necessarily less varied than target (con)text conditioners, which aim at acceptability in the hosting context. The homo- or heterogeneity of these models depends on the cases at hand as well as the closer or more remote analytical viewpoint one takes and the names one gives to these categories. “Acceptability” as a concept sounds no more or less varied than “fidelity.” However, once one starts investigating the more specific conditions driving fidelity or acceptability, variation probably emerges. This line of thinking actually continues the original 1970s PS and 1990s DAS suggestions to study translation or adaptation processes in terms of “equivalence,” a dynamic compromise between “adequation” norms (those drawn from source [con]text conditioners) and “acceptability” norms (those that depend on target [con]text conditioners). Also, and perhaps more importantly, “equivalence” was meant to be studied in a descriptive as opposed to a prescriptive way. In other words, the original PS and DAS proposals criticized fidelity-based discourse in translation and adaptation studies not only for its ignoring target (con)text conditioners, but also, perhaps even more strongly, for its adopting a judgmental rather than a descriptive-explanatory stance. In doing so, the PS and DAS proposals aimed to join the archival and the teleological view, but suggested a descriptive rather than a judgmental approach, focusing on what particular adaptations, or adaptation generally, actually do rather than what they should do. Both translation and adaptation scholars have criticized the binarism of the adequation-acceptability distinction—the apparent need to choose or negotiate between norms or values drawn from source texts and contexts and norms or values drawn from target texts and contexts—but to my knowledge, no better alternative has yet been offered. A teleological view, like any other point of view, has its limitations, and more recent adaptation studies have made proposals suggesting we rethink the teleological nature of the adaptation process. Bryan Boyd, Joseph Carroll and Jonathan Gottschall take an evolutionary view of adaptation. They suggest that looking at larger numbers of adaptations in more or less coherent historical contexts may reveal trends and patterns that not only escape individual authorial intention but cease to function in a goal-oriented way. The polysystem approach had already suggested doing research on larger corpora, but it has never hinted at the possible implications for notions of teleology. If teleology means “driven towards a goal” or “aiming at a better fit in their hosting environment,” processes that accidentally end up fitting better in their final environment cannot be labeled “goal-oriented.” The question fits a wider debate about explanation and the arguments for and against authorial intentionalism as a valid explanatory model in the humanities. TL: I’ve just published an essay on how cinema uses history that’s been inspired in part by models drawn from performance theory that have recently been applied to adaptations. It’s tempting to think of performative frameworks as opposed to archival frameworks, as performance theorists tend to assume themselves: either you think of each new adaptation as returning retrospectively to the archive for its inspiration and authority, or you think of the archive as a repository of texts and moments and relationships that assume currency and textual status only in the moment of performance. But I see the relation between archive and performance as more complicated than that. For one thing, the two are interdependent: you can’t have either an archive or a performance that’s recognized as such without assuming the presence and the value of the other. For another, performance doesn’t unfold simply in a moment of eternal presence: it invokes canons and texts that have already been produced and projects reactions (perhaps even aspirations to canonical status) that the performer would like to see produced. I see performative frameworks not as a liberation from assumptions about the past and future, but as a moment of negotiation between past and future, and a reminder that “archive” and “teleology” already carry a performative charge because we’re performing, not just recalling, the archive by adapting it and hypothetically performing a teleology as well. PC: This accords perfectly with the original PS and DAS proposals and their aforementioned reconceptualization of the traditional notion of “equivalence” as the actualized performance, displaying an interdependency between archival forces (the so-called adequation norms) and teleological ones (the acceptability norms). The purpose then was and is to describe and explain empirically how and why an ad hoc set of performances (or “equivalences”) occurs, as opposed to prescribing how it (like fidelity) should have occurred. Your description of the interdependency between archive and teleology, as achieved in the performance, is as nuanced as any PS and DAS explanation I’ve read on “equivalence” as the actualized compromise between adequation and acceptability norms. Perhaps a change of words could reboot this type of research, opening undiscovered terrain for (film) adaptation studies. TL: The first time I read it, I assumed that the word “descriptive” in your title was intended to emphasize the status of DAS as data-based—more specifically, large-data-based or statistics-based as opposed to analytical/interpretive based—as against a priori, categorical approaches like the one George Bluestone takes in the long introductory chapter of Novels into Film. Descriptive, then, not stipulative. But “descriptive” implies other possible oppositions or contrasts as well. Is DAS intended to be descriptive as opposed to prescriptive—does it focus on what kinds of adaptations we already have instead of what kinds we ought to have? PC: Yes, exactly: to describe what/how things are or have been versus to prescribe (judge) what/how things should be or should have been. As such, it continues the ancient debate about (statements of) facts and values, and the question of whether and how we can distinguish between the two. TL: In addition, I’d remind you of some questions you asked at the end of Descriptive Adaptation Studies: First, what’s the relation between “description and explanation”? PC: That’s a fascinating question that stretches beyond my competence. Philosophers generally link the study of explanation to that of causation and other types of correlation. Although I introduced the issue to adaptation studies in Chapter 7 of Descriptive Adaptation Studies, I’ve seen no sign that other adaptation critics have much interest in the subject. The debate about description and explanation goes back to the ancient Greeks, and I don’t presume to offer a final solution. But I do suggest some working definitions that could launch a debate about the status of explanation in adaptation studies. Some of them, as I’ve said, deal with alternatives to the paradigm of individual or authorial intentionalism as the only or prevailing explanatory model. Another set of distinctions that might be useful to adaptation studies and the humanities in general is between proximal and distal causes. This second set is linked to a debate about how to agree on the proper level of analysis for each problem and field. TL: All right, then: what’s the relation between “description and prediction” (336)? Should researchers in adaptation be able to predict the appearance and characteristics of future adaptations? PC: I’d rephrase the question: Would it hurt if it were possible to predict? It would be naive to consider the question of prediction if the concept were reduced to the old cliché, “How to make a box office success?” However, prediction can be studied in adaptation studies, as it has already been studied in translation studies, with respect to more particular questions: How do specific time constraints impact the translation process? How does having or not having a dictionary at one’s disposal condition the translation process? Similarly, one can ask: How does the stable or unstable position of a film genre condition the selection policy of types of source materials? How does it impact the actual adaptation process? Recurrent findings in similar conditions would allow for more justified predictive hypotheses, to be verified or falsified. Prediction is often linked to science, and following C.P. Snow’s war between the natural and the human sciences, the semantic field of the word “science” is generally narrowed down to the search for universal laws that are true always and everywhere. But I don’t see why the word “science” couldn’t be assigned a wider meaning. The chapter on prediction raises yet another question: How does prediction relate to (analytical) relevance? Can one say that to some critics phenomena that are predictable are uninteresting? And if that’s the case, what does that say about prediction in the humanities? TL: Is DAS descriptive as opposed to predictive—mapping out adaptation’s past and present instead of predicting its future? PC: Yes, that too. What I learn from analytical philosophy is that descriptive assertions are possible about the past, the present and the future, but one can only check the truth value of statements about the past and the present. Since the future has not happened yet, the truth value of assertions about the future is said to be indeterminate. TL: Another question implicit in my review of Descriptive Adaptation Studies is whether scholarly fields should be organized either by the kinds of spatial models represented by diagrams and maps or by temporal models like histories and commentaries. What are the implications of favoring either of these models, and which model is best suited to which sorts of explanation for which phenomena presented to which audiences? PC: If the spatial models refer to synchronic approaches (focusing on structures? ), and the temporal models to diachronic approaches (focusing on processes? ), then we might benefit from David Bordwell’s definition of the “poetics of cinema” as a set of “middle-level theoretical concepts that capture intersubjectively significant cues” (3). Whether one is going to look through a microscope or a telescope depends on what one is looking for. The assessment of the tool (or poetics or theory) will also depend on the purpose of the investigation. TL: That’s an extremely useful suggestion. Whether or not we agreed that temporal approaches were inevitably diachronic and spatial approaches synchronic, I’d be most interested in hearing what sorts of relations you’d like to see between synchronic and diachronic approaches, which I assume we’d agree both have significant value. PC: The choice of a diachronic or synchronic approach, or one that focuses on processes as opposed to structures recalls the (popular version of) Heisenberg’s uncertainty principle: the fact that it is impossible for us to both perceive the position and the velocity (or, to simplify: the movement) of a particle. If we accept that perception, knowledge, and communication are partial, perspectival, and sequential, then it is possible to understand and accept that when looking at the world, one can adopt different viewpoints that reveal different but equally true aspects of that (same) world. Following this, it’s possible to understand that the world is characterized by both change (processes) and stasis (structures), even though it’s not possible for us to perceive both characteristics at the same time. This limitation is not ontological but perceptual. 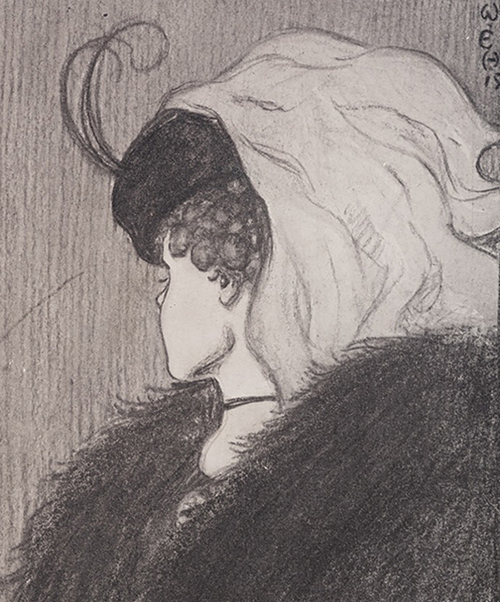 In cartoonist William Ely Hill’s 1915 drawing, “My Wife and My Mother-in-Law,” we can see either an old woman or a young girl, but never both at the same time (see Figure 1). Determining which view is best, the diachronic or the synchronic, depends on what one is looking for: stable structures or historical change. If it’s understood that all views are by definition incomplete, the view that focuses only on change is as incomplete or inaccurate as the view that only focuses on stasis. Both views are complementary rather than oppositional. 5. Is Descriptivism Science Based? TL: Another question I asked was whether adaptation studies should be considered either “a science-based discipline” that seeks results that can be universally validated and replicated (333)—an outcome you acknowledge “may not be every adaptation scholar’s dream” (333)—or a field of play that thrives on exactly the kinds of ad hoc, intuitive, endlessly debatable, revisitable, adaptable questions, insights, and leaps of faith. PC: The choice suggests two extremes on one gradual scale. An answer to this question could work on the interpretation of “science-based.” All too often, humanities scholars use the word “science” in a narrow sense that answers specific requirements of the natural sciences. What if those scholars recuperated the word to reconnect it with its wider etymological roots (Latin: “scire”): “to know,” as opposed to “to believe”? To label certain beliefs as “knowledge” would then depend on specific, collectively accepted conditions of conceptual and methodological rigor and consistency—by no means an easy task, but not necessarily an impossible one. Science need not be restricted to nomothetic/universal laws. We can know (as opposed to believe) particular things as well. A descriptive-explanatory approach does not favor one type of knowledge (the descriptive, the particular, the general) over the other (the judgmental). Rather it suggests acknowledging the difference between two types of knowledge and considering that difference as relevant. TL: I very much like the idea of seeing these two models as coexisting and complementing rather than logically impeaching one another. I’m not sure I’d put them at opposite ends of a scale, since scientific approaches already place a very different valence on the notion of a scale than, for lack of a better word, ludic approaches. Yet science itself is playful. Experiments are hypotheticals; discoveries get made accidentally; even the most systematic research involves blue-sky thinking at the outset and a closely controlled set of variables in the instance. What would happen if we thought of scientific and intuitive approaches as moments or phases or impulses within a larger, more all-encompassing dialectic instead of complementary tendencies that mark opposite ends of a spectrum? I’d add that a systematic approach not only makes it more likely that researchers will find what they’re looking for but also makes it more likely that they’ll find only what they’re looking for. PC: The distinction between systematic and ludic approaches raises the question whether one should pursue one rather than the other or both at alternating phases. The previous descriptive proposals assume that any search that is carefully prepared and methodically executed has more chances of finding what one was looking for than a search that is randomly executed, hoping to stumble onto something by accident. I’d prefer that my own research combine two values: the chance of finding something or not, and the chance of having the thing found be relevant. Nine times out of ten, the things you accidentally run into while looking for something else are unwanted or useless, and not to find what you’re not looking for avoids wasting time, energy and money. Finally, to set up a research method that aims systematically for the unexpected would seem to defeat its purpose, because stumbling onto the unexpected would become expected. TL: Let me turn to an even more general question one of my students posed: What sort of reconciliation can and should adaptation scholars seek between proponents who’d prefer to think of adaptation in terms of a single grand theory, a multitude of completing theories, or an anti-theoretical impulse? PC: The answer to this question depends on a previous common working definition of the word “theory.” Once we agree on a working definition, we can move on to the next question: Do we admit one theory, multiple theories, or no theory? A post-positivist like David Bordwell goes for an in-between choice, and understands “theory” as an abductive and consistent research method. TL: At the risk of sounding facile and optimistic, I’d propose that we begin by putting a Stanley Fish spin on the post-positivist approach—my research methods may well evolve over time, but at any given moment they’ll seem inevitable improvements over my earlier methods—and then, within that context, suggest that in the absence of a single consensual theory, we work toward a theory of theories. I don’t mean to suggest that the more abstractly or meta-theoretically we think, the better; it’s just that a grammar of theories seems like a less impossible goal than the dream of a common theory, and one that’s likely to engage a wider array of scholars who don’t necessarily agree about anything else. So I’d vote for multiple theories, but theories routinely informed by each other and by the possibility of trans-theories or meta-theories, even if the process of informing leads to better-informed disagreements. PC: I agree, and do not think there is anyone left who would still believe in “one” theory (whatever that word would mean). Would it be useful to work on a (more) common terminology (what do we mean by terms like “adaptation,” “theory,” “method”?) shared by sets of researchers? If we want to be able to explain to each other how we disagree, we need to agree on the meanings of the words we use to explain our disagreement. TL: Most of the people I know who dream of a common terminology assume that other scholars will adopt their terms, not the other way around. Still, we can’t afford not to work toward common terms and protocols, even if their main effect is to heighten our substantive differences, because the alternative would be babel and chaos. The obvious starting place for adaptation scholars would be a commonly accepted definition of adaptation, but that’s the very term that most scholars who aren’t Linda Hutcheon have been reluctant to define and largely unsuccessful in their attempts to do so. PC: Here are some further questions: Would it be useful to find like-minded adaptation scholars who agree on a (set of) research goal(s) including ways to achieve those goals? Would it be useful to be able to compare research results and perhaps to test them (verify/falsify) among the members of a research team? Would it be useful to agree on standards that allow (a set of) researchers to determine whether their (collective? or coordinated?) efforts are making progress? TL: All these questions ought to be no-brainers, but I don’t think they are, mostly because of long-standing differences between research in the sciences and the humanities. Let me focus on the second question, which I find the most interesting of the three. Normal science, as Thomas Kuhn calls it, is constantly carried on by research teams who apply for funding as a team, set up laboratories and experiments in which each member of the team has different, clearly demarcated responsibilities, and then compile results that they publish under all of their names. It’s a great model and an inspiring one, but the further you get from the hard sciences, the less often you see it, at least in the United States. Social scientists often work and publish in teams, but humanists hardly ever. Because research in the sciences is driven by large, competitive grants that teams are better suited to apply for, win, and administer, scientists get used to working on teams that can make the most economical use of equipment requiring large capital expenses. Scientists feel more comfortable collaborating on writing up their results or delegating the writing to specific members of their teams because the report is less important than the design and conduct of the experimental research in determining the impact of the project. Most important, science has the enormous benefit of shared protocols of disconfirmation: what one scientist disproves has been taken since the time of Copernicus and Galileo as disconfirmation for the entire scientific community. None of this is true for humanists, who in the absence of substantial funding opportunities famously prefer to work in solitude, requiring nothing but a pencil and paper, or more recently a computer terminal and internet access, and access to a research library (there’s that archive again! ), and who cling to their individual stylistic peccadilloes, including their own idiosyncratic definitions of pivotal terms, because there’s so little motivation for them to join together in larger communities that offer so little in return. In particular, humanists seem to have a deep-seated need to keep reinventing all sorts of wheels, declining to accept other researchers’ results as definitive unless they can prove them to their own satisfaction, and inevitably leaving open the question of what constitutes proof. When scientists work together on the Manhattan Project, they produce tangible, though hardly unequivocal, results; when humanists work together at the Salzburg Seminars, they go home energized but not brought more closely into accord. Much as I admire scientific models of teamwork, cohesion, and disconfirmation, thinking about your three questions makes me wonder which kinds of joint ventures among adaptation scholars are most probable, easiest to imagine, or most likely to produce worthwhile results. Of course, all the contrasts I’ve been pointing between communities of scientists and individual humanists are relevant to our discussion only if you assume that adaptation studies is a humanistic rather than a scientific discipline. What would be gained or lost if we thought of adaptation studies as a science, a social science, or a humanistic discipline? If you were going to slot the field into the university curriculum, within which of these three general areas would you feel most comfortable locating it? PC: Let me answer this question with another question: What if we considered the labels “science,” “social science” and “humanistic discipline” as three distinct views of a set of practices and products which have more or less commonly come to be called “adapting” and “adaptations”? One can look at Hill’s cartoon and study the features of the old woman, and one can look at it and consider those of the young girl. Similarly, one could look at adapting practices and adaptational products in multiple ways, and each view could enrich the others. The “translation map” Andrew Chesterman borrowed from Gideon Toury and James S. Holmes proposing a division of labor in the discipline need not be utopian if started from the ground up. Everyone is welcome, no one needs to subscribe. Scholars can study (film) adapting, adaptations and adaptation studies from different angles and in indifferent ways. The best way or ways would then be those that provide researchers with the most satisfactory answers. In other words, the qualifier “best” would be a function of what the investigators were looking for in the first place. Since humans are a social species living their lives in organized ways that inevitably involve power structures, of course, not every John or Jane Doe would have an equal say in determining what is relevant or interesting and what is not in terms of research, and be able to act upon it. In addition, the suggestion of a road map to be designed and accepted by a smaller or larger community of translation and/or adaptation scholars raises a number of questions about the disciplinarization of academic knowledge as a desirable format, and the working relations between adaptation studies and other disciplines such as translation studies, film studies, literary studies, intertextuality studies, and other disciplines. TL: For a long time I was convinced that the answer to the first of these questions was yes—so convinced that I came to think of myself as a freelance cheerleader for the discipline, someone who’d make the round of conferences arguing specifically and repeatedly that adaptation studies was an academic discipline as least as coherent as literary studies, whose unity depends on a canon rather than a methodology, and ought to be acknowledged and practiced as such. Now I’m not so sure. Jillian Saint Jacques has made an eloquent case for adaptation studies as an anti-disciplinary tendency, a force field more powerful in its ability to challenge established disciplines than its aspiration for a place at their table as either complementing or superseding them. And Imelda Whelehan, after listening to my obligatory sales pitch at a conference a few years ago, reminded me of the financial and administrative challenges facing established academic programs and asked me if I really wanted to see us head down that path. Just as the practice of adaptation reminds us that texts are always works-in-progress, ceaselessly produced, reproduced, transformed, and interpreted, it might well be the case that the deepest wisdom of adaptation studies might be that academic disciplines aren’t where the action is—that sometimes it’s better to be Robin Hood than Prince John. PC: The debate for and against the disciplinarization or any formatting of academic knowledge seems to follow the old structuralist versus post-structuralist or static versus dynamic view on the world. When either/or questions last for millennia without a final answer, it may be more efficient to assume that the most satisfactory answer is “both/and.” Does the world display static structures or is it constantly changing? Should research proceed in a systematic or a ludic way? Are disciplines formats that enhance consistency and systematic progress or a hindrance to the unexpected and the new? In every case, the yin and yang cannot be separated from each other. It’s impossible to think outside of the box without a box. The way interdisciplinarity scholars conceive of the dynamics of their research field is to observe disciplines as entities that interact with other disciplines, morph into trans- or multi-disciplines, evolve into new (intra-?) disciplines, interact with other disciplines, and so on, with no end in sight. PC: Discussing the disciplinarization of academic knowledge involves another issue: the study of adaptation studies as a social practice. What do we want to say about adaptation studies as a social practice (politics vs. epistemics)? And what do we want to say about adaptation studies as a discipline, including the question of the need and the ways to organize the work as a discipline? TL: These are great questions. I’ve written at length on the second of them—maybe that’s why I think it’s great—so it’s only natural that I’d be drawn more powerfully now to the first. Kamilla Elliott has returned repeatedly and incisively to examine the social practices of adaptation scholars, but as far as I know, she’s virtually the only member of the community who’s constantly policing the community itself. Adaptation scholars like Greg Colón Semenza and Bob Hasenfratz who are more interested in politics than epistemics focus on the social practice of adaptation, not of adaptation studies. Whatever else becomes of the field—assuming that we even want to call it a field—we need greater attention to both adaptation and adaptation studies as social practices and more thoughtful connections between the two. Since you don’t get to police a field without reading widely and deeply enough in it to earn your status as a police officer, encouraging our colleagues and ourselves to move more decisively in this direction would at the very least address a distressing tendency both Elliott and Simone Murray have pointed out in adaptation scholars: their lack of familiarity or genuine critical engagement with the leading work in their own field, let alone its connection to other fields. In this context, it’s useful to recall perhaps my favorite of the questions you raise at the end of Descriptive Adaptation Studies: “[H]ow do personal and collective career values match or conflict with the epistemic values of the discipline and thereby cause the discipline to progress or regress; and what can research communities do about this?” (339). My best answer to this question is as depressing as it is facile: I suspect that career values have typically trumped—well, let’s say directed—epistemic values in most established disciplines, and I see no reason why that won’t continue to be the case. Whether or not you agree, I hope you’re willing to serve as devil’s advocate to this position by explaining what you think research communities, which are themselves shaped and driven by career values, could and should do about this conflict. PC: The question about scholars thinking about research communities, which are also made up of scholars, reminds me of a line Jack Nicholson’s character said in As Good as it Gets: “I’m drowning, and you’re describing the water.” A study of how career values impact epistemic values and a discipline’s progress or regress might perhaps produce the same effect. I share your belief: as long as humans are involved, human stakes will co-direct the ways in which a discipline evolves. Could growing awareness of these mechanisms and a better understanding of how career and epistemic values interact help empower members of research communities, if not to take measures more into their own hands, then at least to steer the discipline in this or that direction? Scholars of interdisciplinarity like Sheila Jasanoff see it as their duty to “redraw the map of disciplines” and serve as third-party arbiters in the rethinking and renegotiation of the division of the continuous field of academic knowledge into disciplines or other part-whole relationships. As Jasanoff writes, “The requirement that one must be formally qualified in a field in order to speak authoritatively about it restricts access but also narrows the analyst’s capacity to ask probing questions; an insider perspective develops that neither accommodates nor grasps the benefits of the outsider’s questioning gaze” (185). If translation and adaptation scholars continue to quarrel about their territories, and if adaptation critics feel that their present terminological precision is satisfactory even when one expert claims that adaptation does not exist and another that it is ubiquitous, adaptation aficionados shouldn’t be surprised if one day a third party, concerned or assigned by the parties who hold the funds, steps in and decides from the outsider’s point of view. Scholars like Jasanoff seem to suggest that a study of the “political economy of knowledge,” a study of academic knowledge in terms of “who speaks and who gets listened to, and how authority is distributed among the participants in a conversation,” may create awareness and expertise, and thus not remove career values from the equation, but steer them in ways that are more compatible with epistemic values or more collectively desirable in other ways. TL: We’ve collaborated on this dialogue off and on over a period of many months. But I’ve found that discontinuous approach, with its ongoing invitation to think further about the problems we’ve raised until I have more useful things to say, surprisingly congenial. So I hope that Literature/Film Quarterly will encourage other adaptation scholars to adopt this format themselves and submit their own dialogues for online publication. PC: I hope so too. The most important thing I learned from this dialogue is that a rational debate about one’s disagreements sharpens one’s concepts and ideas as well as the arguments for either keeping them or dropping them in exchange for something better. Bordwell, David. Making Meaning: Inference and Rhetoric in the Interpretation of Cinema. Cambridge: Harvard UP, 1991. Cattrysse, Patrick. Descriptive Adaptation Studies: Epistemological and Methodological Issues. Antwerp: Garant, 2014. Chesterman, Andrew. “The Name and Nature of Translator Studies.” Hermes, no. 42 (2009): 13–22. Erlich, Victor. Russian Formalism: History – Doctrine, The Hague: Mouton, 1968. Frodeman, Robert, with Julie Thompson Klein and Roberto C.S. Pacheco, eds. The Oxford Handbook of Interdisciplinarity. Oxford: Oxford UP, 2017. Jasanoff, Sheila. “A Field of Its Own: The emergence of Science and Technology Studies.” Frodeman, Klein, and Pacheco 173–87. Leitch, Thomas. “Back to Basics: A Meta-Foundational Approach to Adaptation Studies.” Adaptation 8 (2015): 272–75.